Four official size, temperature controlled courts with superior flush mounted fluorescent lighting and wood floors. We offer leagues, lessons and round robins for all levels of play. Our courts conveniently convert to ‘walleball’ courts. 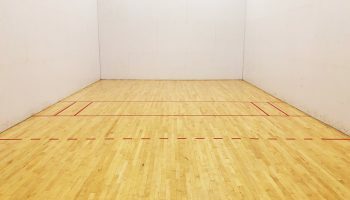 Walleball is volleyball played inside a racquetball court. Same rules apply except it is played off the walls! The angles, spin & strategy make every point exciting!